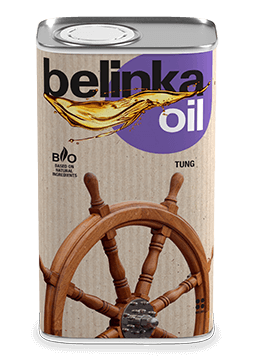 Belinka Oil Tung is an impregnation agent used for the protection of weather exposed wooden elements made of more resistant types of wood, and of wood built in yachts or other vessels. 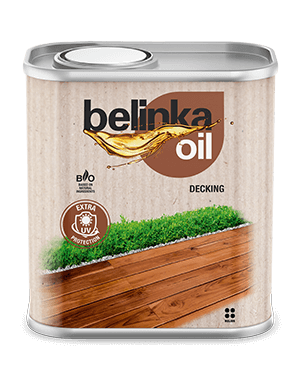 Belinka Oil Tung is suitable for surface protection of wood, where the use of natural materials is desired. Does not form a protective film on the surface. It is therefore recommended for the elements to be checked regularly to establish whether they are adequately protected. The required maintenance interval depend on the type of wood, mechanical load and exposure to humidity. It is recommended to refresh the surface twice a year with the same product. 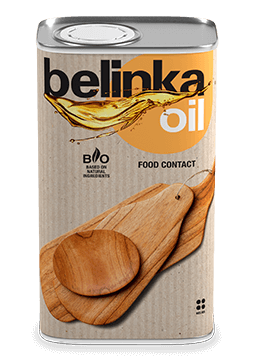 Belinka oils are made from natural ingredients and are harmless to health and environmentally friendly. Oil soaked cloths must be soaked in water or burnt after use, otherwise spontaneous combustion may occur. Applied to wooden surfaces free of grease, wax, and other impurities. Prior to application, the wood surface should be finely sanded and dusted off. 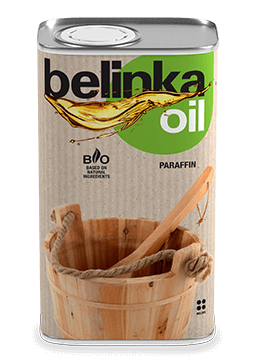 Before applying the oil the wood must be well dried, otherwise protection is not satisfactory. The oil must be slightly heated before use to approx. 30-40 °C, as this promotes better absorption into the substrate. 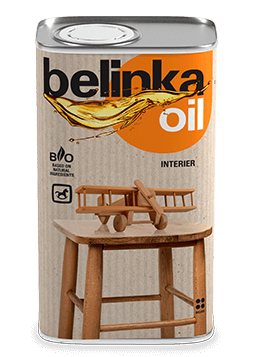 When coating the surface for the first time, it is recommended to thin the oil with a maximum of 30 % of Belsol. Apply the oil abundantly using a cloth, brush or roller. After approx. 15 minutes, wipe the excess oil with a clean absorbent cloth or absorbent paper, then polish the surface with a dry cloth. To enhance the durability of the wood, we recommend multiple applications with a 24-hour waiting time in between. Protective clothing should be worn when using this product. Provide ventilation during coating. 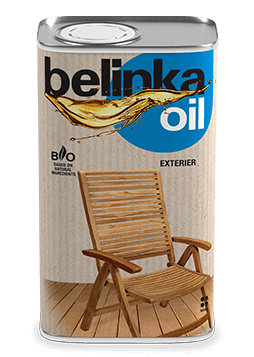 The Belinka Oil Tung does not form a protective film on the surface, so regular maintenance of oiled surfaces with the same product is recommended. We advise against coating with this product if the temperature is below 15 °C. Clean the tools immediately after use with water and detergent, or with Belsol.